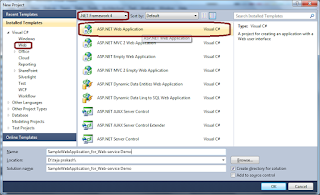 3-tier architecture in asp.net with C#. Here I will explain about uses of 3-Tier architecture and how to create or implement 3-tier architecture for our project in asp.net. * It is easy to maintain, modify and understand. 1. Application Layer or Presentation Layer. 2. Business Access Layer(BAL) or Business Logic Layer(BLL). 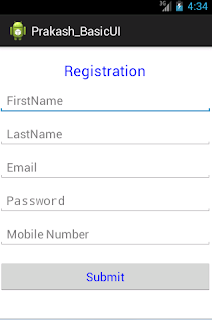 Here I will explain each layer with simple example that is User Registration. Presentation layer cotains pages like .aspx or windows form where data is presented to the user or input is taken from the user. 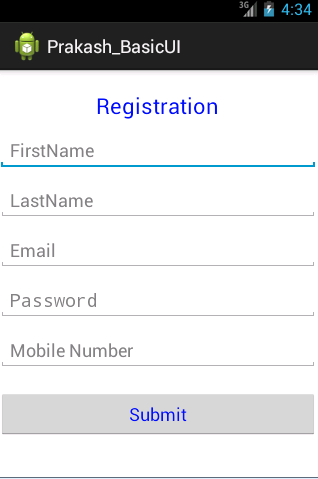 Below is sample UI design page for user registration. 1. Start a new project and design the page like above. 2. 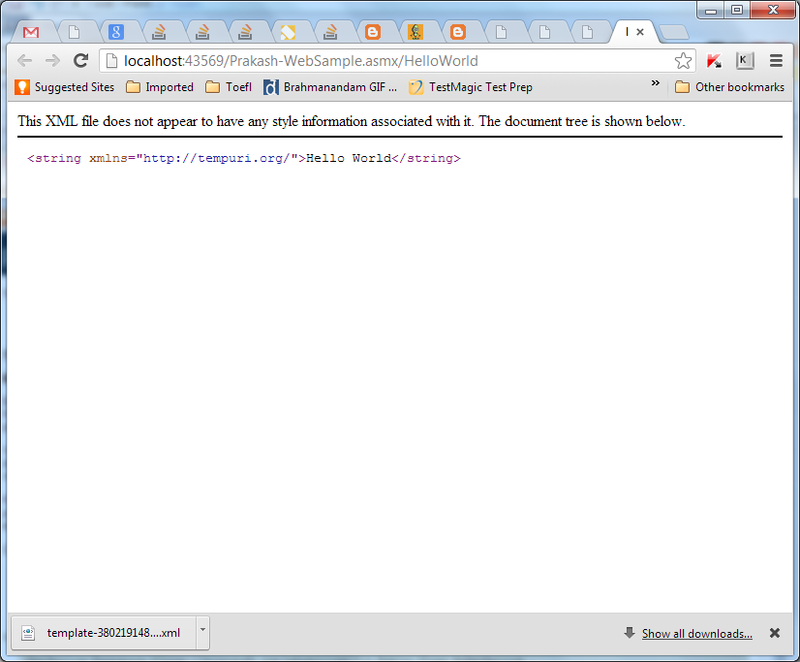 Double click on "submit" button then it redirects to .aspx.cs page (write entire logic here). 4. And we have to Gets and sets this parameters in StudentDC class. BAL contains business logic, validations or calculations related with the data.This acts as a interface between Application layer and Data Access Layer. I have already finished form design (Application Layer) now I need to insert user details into database if user click on button 'submit'. 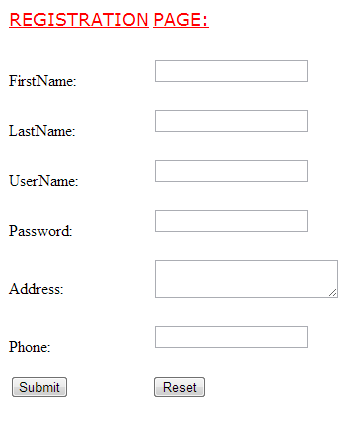 Here user entering details regarding Firstname, Lastname,Username, password, Address, phone. I need to insert all these parameters to database. Here we are placing all of our database actions into data access layer (DAL) in this case we need to pass all these parameters to data access layers. String Username= InserDetails (string Username, string Password, string Address, string Firstname, string Lastname, string phone ). If we need this functionality in another button click there also we need to declare the parameters like string Username, string Password like this rite. If we place all these parameters into one place and use these parameters to pass values from application layer to data access layer by using single object to whenever we require how much coding will reduce think about it for this reason we will create entity layer or property layer this layer comes under sub of group of our Business Logic layer. 5. Create object in BAL. The above code acts as a interface between Application layer and Data Access Layer. //6. 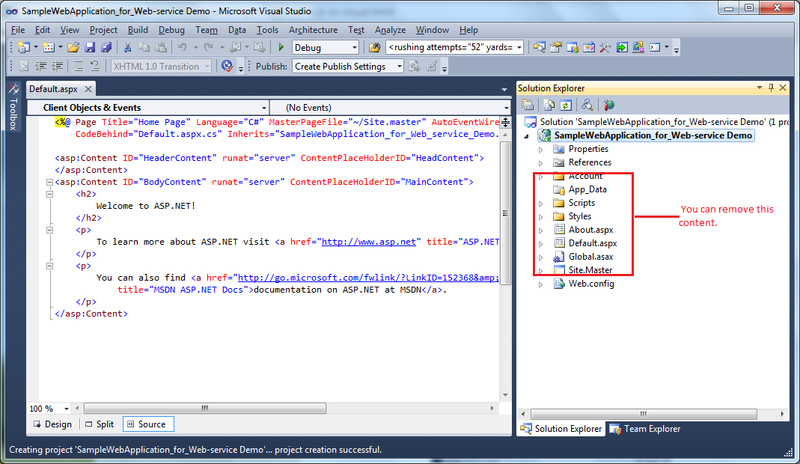 create a connection with database and send the attr values to DB. 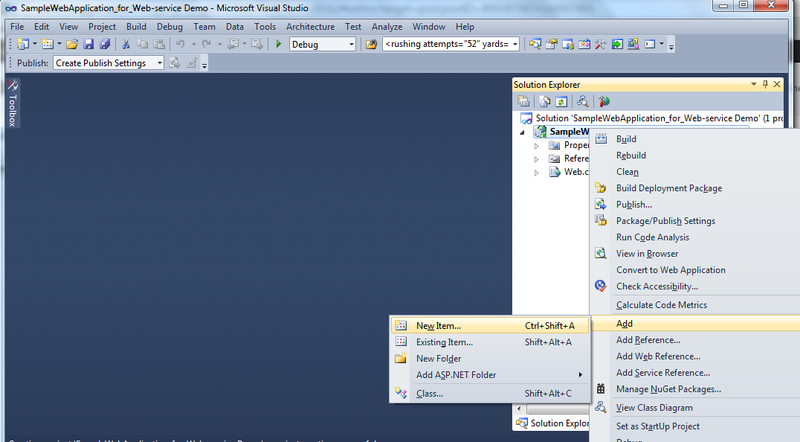 Here I'm getting all the parameters by simply creating InsertStudentDetails. 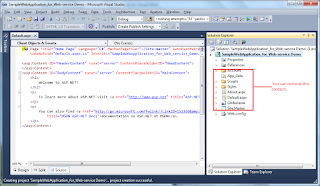 If we create one entity file we can access all parameters through out our project by simply creation of one object for that entity class based on this we can reduce redundancy of code and increase re usability. I have created one function InsertStudentDetails and using this one in StudentBAL.CS by simply creating one object of DAL in StudentBAL.CS. 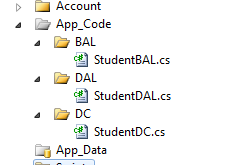 Here you will get one doubt that is why StudentBAL.CS we can use this StudentDAL.CS directly into our code behind we already discuss Business logic layer provide interface between DAL and Application layer by using this we can maintain consistency to our application. 7. Set the connection string on the web.config file. Begin by creating an Android project. Implement your Android application as normal. Once you have a project set up and the application running, decide under what screen you want to add Button controls to. Perhaps you’ve simply created a new Android project with its default Activity and layout (main.xml). This will work for this tutorial. I'm doing basic UI design page for registration. And open res->values->Strings.xml file. Copy below code. 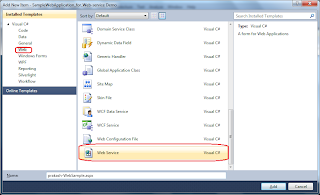 Create basic web-service (SOAP) using C#.net. 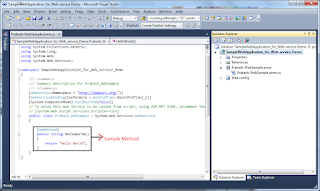 This tutorial explains how we can create basic SOAP Web-Services using Visual Studio 2010 or 2012. 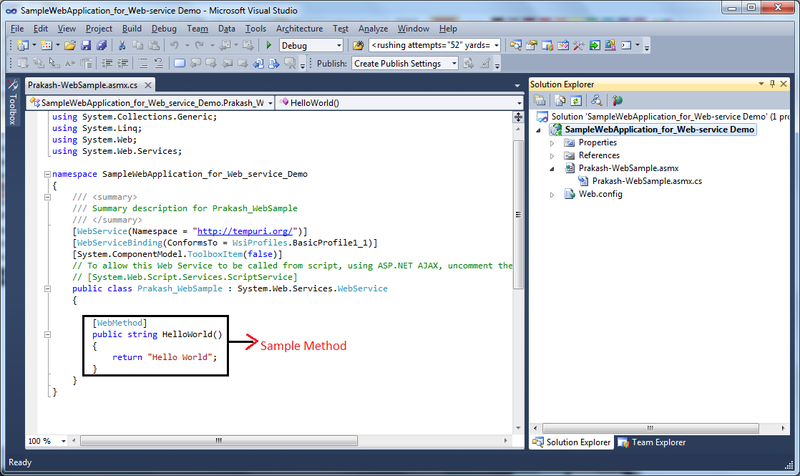 In Visual Studio 2008, we can create service directly but in VS10 and VS12 that feature was removed. 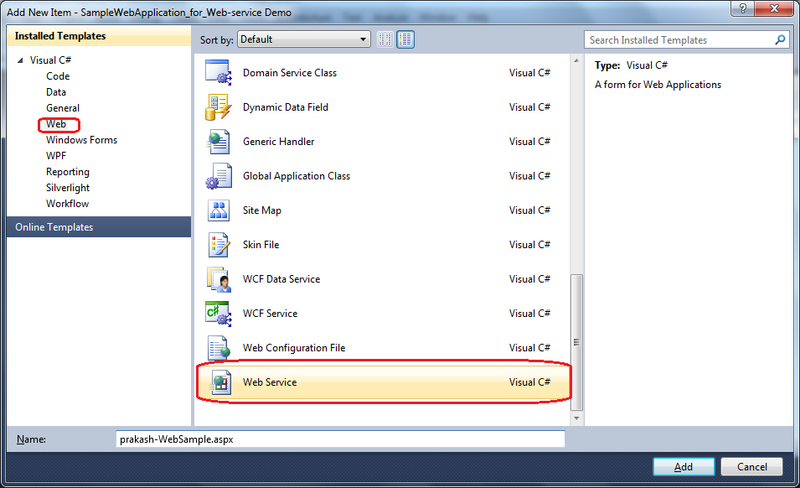 How to create SOAP Web-Service in VS10 or VS12. 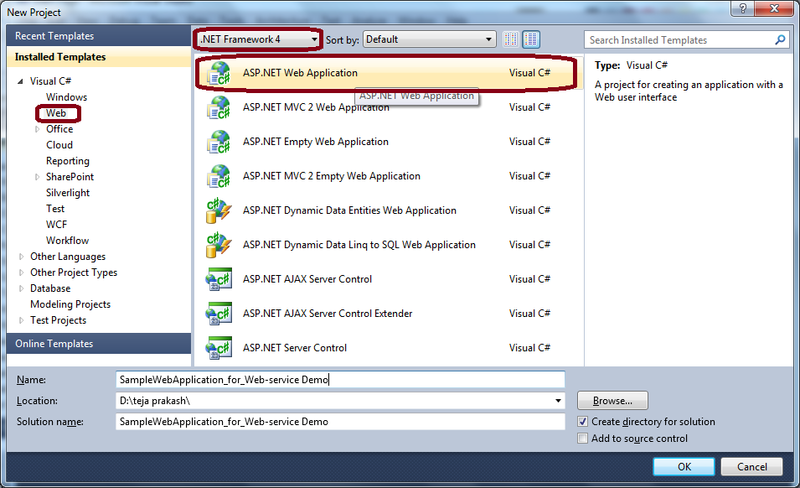 First create new project and select "ASP.NET Web Application" and I'm naming "SampleWebApplication_for_Web-service Demo" to my sample service. RightClick on Project-> Add->New Item. 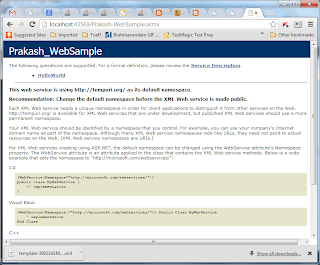 Then select Web Service in list. Click Add. Service added successfully to your application and you can create your own methods now. First, Create the connection string for your service. 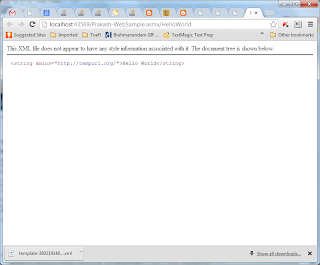 And you have to add one more thing in web.config file. 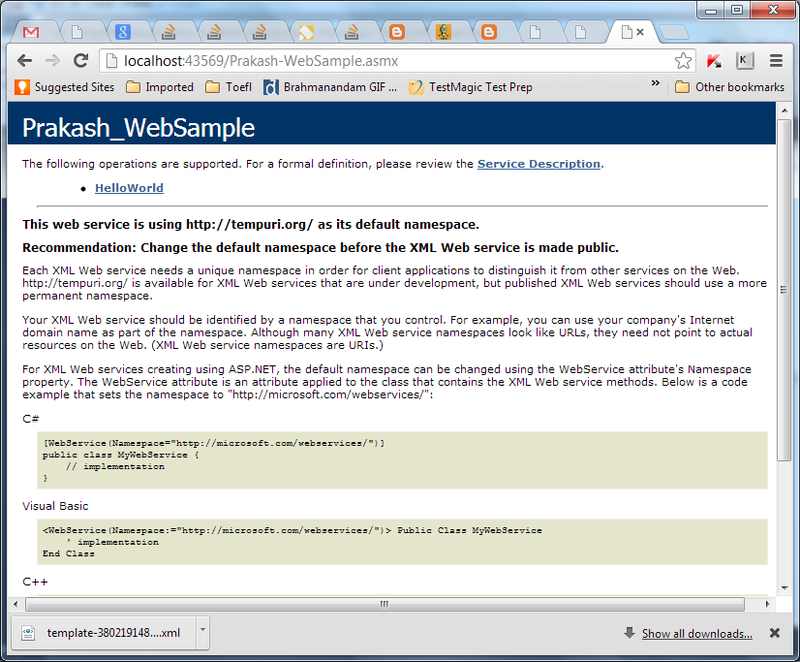 Web-service won't work without this step. It helps to get and post the data from client to server and vice-versa. 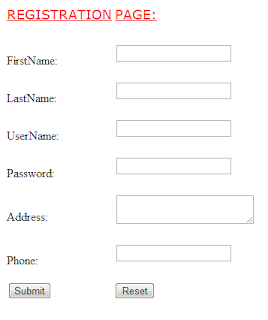 Here I have written one sample Web-Method for Login. SqlConnection sqlCon = new SqlConnection(Con); //setting DB connection here. //Getting Back result from your DB. Execute it. Now you will get 'SampleLoginMethod' and click on it. Finally, you will get your result here.